Photo: Photo Credit: Niko Tavernise/20th Century Fox. There is a dubstep drop in The Greatest Showman. It’s so weak you might miss it, since it’s about as anemic as an “I Knew You Were Trouble” sound-alike in a YouTube pre-roll ad for Samsung’s latest phablet. It arrives at the first refrain in “The Other Side,” a duet between Hugh Jackman and Zac Efron in which Jackman’s P.T. Barnum is trying to convince Efron’s society man to back his circus and let his financial freak flag fly. It is among the more transparent gay-metaphor numbers in the film (which is mostly comprised of gay-metaphor numbers), but also the one song most explicitly concerned with money and the actual business of show, a subject it is too demure to address frankly for much of the rest of the film. 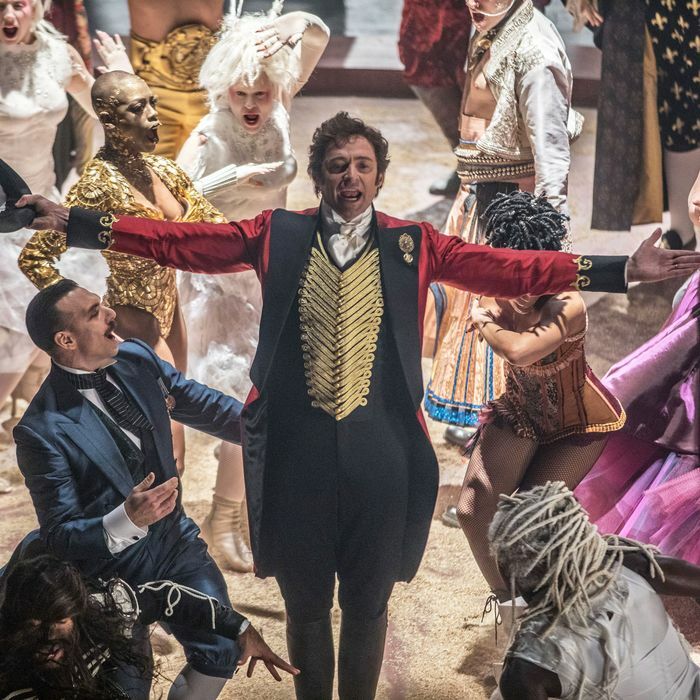 As such, it becomes a tidy encapsulation for The Greatest Showman, a movie musical mealy-mouthed enough to be interpreted as an outsider story, made of the same textures and tools and aesthetics of sponsored content. Musicals are inherently fake — they can be ecstatically, transcendentally fake — but this is a whole other level of disingenuousness. The origin story of what would become the Barnum & Bailey Ringling Bros. Circus is a fine idea for a musical, considering the larger-than-life character at its center. But as written by Bill Condon and Jenny Bicks, the film is so insecure about how compelling a protagonist Barnum is — P.T. Barnum! Famous circus man P.T. Barnum! — that they have squished him into a standard-issue misfit template ripped from the pages of a discount-bin screenwriting manual. It’s disingenuous, but it’s also at the expense of a potentially more interesting tale. 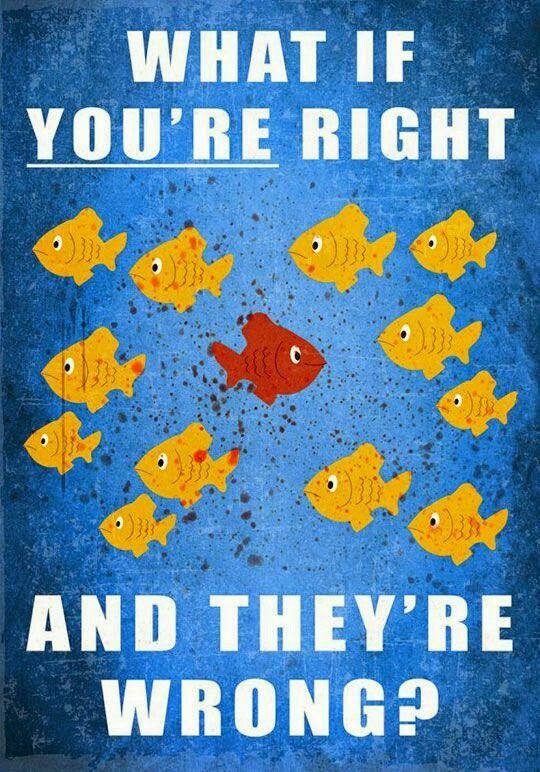 In Condon and Bicks’s telling, Barnum was just an ordinary office drone who realized one day it was time to show the world his true colors (maybe he saw this poster in the break room). He takes out a sizable loan by offering a nonexistent boat as collateral, and opens his “American Museum,” then gathers a company of fellow misfits with the promise that they will all be superstars and make their dreams come true together. However, the limelight comes calling in the form of opera singer Jenny Lind (Rebecca Ferguson), a respectable act that may finally get Barnum the legitimacy he craves among the upper classes. Will he abandon his friends for the popular girl, or will he remember the power of friendship and the importance of being true to yourself? What do these words mean, in the context of the scene? After a few more numbers of inspirational word-association, I wrote down in my notes, for lack of a sharper insight, “baby blah-blah music.” The lyricists are Benj Pasek and Justin Paul, two young men that as far as I can tell are getting away with murder in the musical-theater world right now. They’re best known for this year’s Tony winner Dear Evan Hansen (“So let the sun come streaming in / ’Cause you’ll reach up / And you’ll rise again / Lift your head and look around / You will be found”) and the lyrics to Damien Chazelle’s La La Land (“Someone in the crowd could / Take you where you wanna go / If you’re the someone ready to be found.”) They have lent equal incisiveness to the songs for The Greatest Showman, which have the nondescript sheen of an L.A. pop factory writing camp. When Ferguson’s character hits the chorus of her histrionic Adele-inspired number, she follows it up with an “Umbrella”-esque refrain. I actually gasped with horror. So, okay, maybe I should take the hint and accept that The Greatest Showman — the circus-man musical starring Hugh Jackman — is, somehow, probably a teen movie. And those teen readers who opened this review and hit Command-F for Zendaya will be happy to know that she’s the best part of this mess. Despite the cotton-candy wig she wears for much of the film, she’s one of the only performers who feels human onscreen, not some stretched-and-pulled musical puppet. She doesn’t have much to do besides fall in star-crossed love with Efron’s character, but their big duet is the only number that got me close to goosebumps. That song, “Rewrite the Stars,” is also accompanied by a bunch of wackadoo flying choreography involving numerous ropes and pulleys, which is very impressive and almost enough to distract from the fact that the song itself sounds like a Jason Derulo castoff circa 2012. That’s what The Greatest Showman, a film about an impresario, needs more of: impressiveness. But the film stops caring about what actually drives people to put on a show once the freaks are assembled; all references to “wonder” from there on out refer not to the delight and thrill of the suspension of disbelief, but awe at one’s own self-realization. By the end, I found myself exhausted by the idea of wonder, not to mention the film’s notion that critics — those evil, fun-hating critics — are immune to it. One of the great side effects of our modern-day equal-opportunity victimhood is that now every story must be able to be interpreted as a tale of underdogs overcoming the odds. P.T. Barnum, an enormously successful producer who rose to fame selling tickets to gawk at “tribal men” and people with deformities and paid journalists to write positive reviews of his shows? An outsider who just saw the world a little differently. The very “freaks” off whose exploitation he made his fortune? Social outcasts who, thanks to Barnum, were finally able to show the world their true colors. It may be true that Barnum was an iconoclast who deep-down wanted to be accepted, but he was also a shrewd businessman with a talent for spin. But to acknowledge as much would completely collapse the incredibly specious empowerment metaphor holding up this rinky-dink tent. The Greatest Showman’s factual fakery isn’t what makes it so aggravating. It’s the fakery on every other level — lyrical, dramatic, and social. Perhaps Barnum would be proud. But he’d definitely get better music.